The Puma Rehwild fixed blade features rugged handmade quality and a classic fixed blade design that has been perfected for over a century. 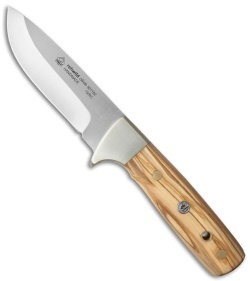 It comes equipped with a full tang blade made from 440C stainless steel in a satin finish. The drop point blade has a hollow grind and a plain edge. Olivewood handle scales and nickel silver bolsters add a collectible appearance to the knife. It includes a custom brown leather sheath, embossed with the Puma Knives logo. The Rehwild Hunting fixed blade will make the perfect addition to your hunting or camping gear. 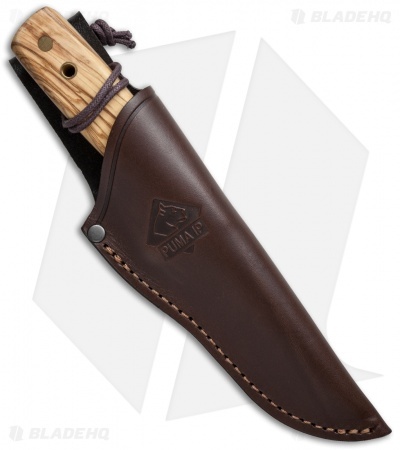 Puma Knife Company has been creating handcrafted hunting knives in Solingen Germany since the early 1900's. They still use traditional knife making techniques that have been passed down for generations. Their knives offer highly collectible designs and durable quality that can stand up to everyday use. Puma IP is their International Production line of knives made in Spain with high quality local materials.